Today, another historic decision is rendered in the Dutch Urgenda case, this time by the national Court of Appeal in The Hague. For the first time ever, Articles 2 and 8 of the European Convention on Human Rights (ECHR) are interpreted to cover positive obligations related to climate change. These lead to state liability under Dutch tort law. The Court of Appeal hereby upholds the world famous Urgenda decision of the District Court of 2015, whereby the Dutch State was said to commit a tort for having too little ambitious climate change policy and was ordered to reduce at least 25% of greenhouse gasses in 2020, compared to the levels of 1990. This order and all factual allegations are upheld. 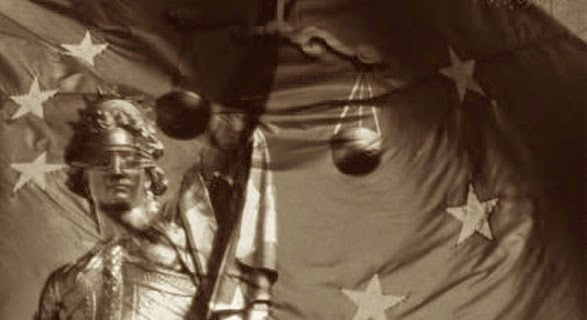 Importantly, and contrary to the expectations of many, the Court of Appeal’s judgment is phrased in legally stronger terms than the District Court’s decision of three years ago: Whereas the 2015 decision leaned on a private law duty of care, in today’s decision private law functions as a mere vehicle to grant direct effect to articles 2 and 8 ECHR. In anticipation of an international interested public, an unofficial English translation of today’s decision is made available. I studied it in its original and official language, Dutch. In this blogpost I go through the judgment, showing the increased legal strength compared to the 2015 first instance judgment, whilst emphasising the (European) private law elements of this almost Utopian example of judicial law-making. This early morning, I travelled to The Hague to hear the Court read out loud its decision. Apart from the lawyers in the case and directors of the environmental NGO Urgenda (portmanteau for ‘urgent agenda’), there were many journalists, as well as people supporting Urgenda’s lawsuit. The atmosphere was tense, people were nervous and prepared for the Appelate Court to overturn the 2015 decision. Yet the contrary happened. In its decision, the Court of Appeal begins by depicting the dispute and facts (§3 judgment). Since the Urgenda case is a private law case, the Court takes facts undisputed by the parties for granted. The Court therefore accepts as facts that since the Industrial Revolution, the world has warmed up with 1,1°C due to anthropogenic greenhouse gas emissions, mostly CO2 (§3.5); and that there is global agreement about the need to act to reduce such emissions (§3.6). The dispute concentrates on the question, whether it was tortious for the State to set its policy goal to reduce greenhouse gasses with only 20% in 2020, compared to the levels of 1990 (§3.7-8). Urgenda and the District Court answered 20% amounted to the violation of a private legal duty of care, but the Dutch State disagrees. The District Court in 2015 gave an order to the State to reduce with at least 25% by the end of 2020, but denied Urgenda’s request for higher percentages. Urgenda did not appeal this denial, the Court of Appeal notes, which as a matter of procedural law means that the Appelate Court cannot order any number above 25% (§3.9). The Court of Appeal continues to sketch international endeavours to tackle climate change, beginning with the 1972 Stockholm Declaration, followed by the establishment of the scientific body Intergovernmental Panel on Climate Change (IPCC) in 1988 (§4), and culminating in the 1992 United Nations Framework Convention on Climate Change (UNFCCC, or “UNF Triple C”), which was ratified by the “greatest part of the global community”(§5). The UNFCCC established, among other things, a conference of the parties (COP) which comes together yearly. The Court furthermore enlists the outcomes of 10 of those COPs, taking note of the fact that they acknowledge since 2007 that the developed countries, including the Netherlands, should reduce at least 25% of greenhouse gasses by 2020, compared to 1990 levels (§11). The Court also considers IPCC and UNEP reports dealing with, respectively reduction paths and the ‘emission gap’, the gap between desired reductions and what will be achieved by actual policy in place (§12-14). Importantly, the Court also considers the Paris Agreement – an international treaty concluded under the heading of the UNFCCC in December 2015 (§15). Since the Urgenda decision of first instance was rendered in June 2015, the Paris Agreement played no role there. The Appeal’s Court considers the factual situation up until 28 May 2018 – the day the parties pleaded (§3). EU law considered by the Court includes Article 191 of the Treaty on the Functioning of the EU (TFEU), the Emissions Trading Directive and the Effort Sharing Decision (§16-18). The Court furthermore looks into developments within the Netherlands. It observes that until 2011, the Netherlands targeted to reduce 30% by the year 2020 (§19). The government back then deemed this percentage necessary to “credibly” help to keep global warming below 2°C. Although the percentage of Dutch greenhouse gasses emissions has lowered during the past years, this is mostly due to the scientific finding that greenhouse gasses levels in the base year 1990 were higher than was thought before (§21). The Netherlands has the highest per capita emissions of the EU (§26). Dutch reductions in emissions can be attributed mostly to the financial crisis (§26). After having sketched all the above, the Court turns to its legal analysis. Its legal reasoning departs significantly from what the Court of First Instance held. That is, in the Dutch civil code, Article 6:162 distinguishes between three types of tortious acts: 1) violations of someone else’s right/entitlement; 2) an act or omission breaching a duty imposed by law; and 3) an act or omission in violation of what according to unwritten law is deemed fit in societal interrelations. Where in 2015, the District Court chose for option 3, the Court of Appeal now goes for option 2. In 2015, the State was said to commit a tortious act in the third sense. “What is deemed fit in societal interrelations” includes a private law duty of care not to be hazardously negligent. The District Court used international climate change law and provisions from the ECHR, and EU law to give shape to this duty of care, the origin of which thus lies in private law. Provisions from international and EU law were applied indirectly. In Dutch private law vocabulary this indirect application is called a ‘reflex effect’ (in private law, EU and international law is reflected, like a ray of sun in the mirror) – in international legal scholarship this is known as ‘consistent interpretation’. It was a complex construction that was often misunderstood to form a constitutional duty of care, quod non. Contrastingly, the Court of Appeal now applies Articles 2 and 8 ECHR directly, i.e. the rights to life and private life/ family life. It explicitly disagrees with the District Court, which held that Urgenda could not rely on these human rights, since Urgenda is not a human being but rather an environmental non-governmental organisation. Urgenda would not have standing before the European Court of Human Rights (ECtHR) on the basis of Article 34 ECHR as interpreted by the ECtHR. Yet, and here the Hague Court engages in a judicial dialogue with the ECtHR in Strasbourg: this does not say anything about access to justice for Urgenda in the Netherlands (§35). Such would also be impossible, since this is for the Dutch judiciary to determine, the Court of Appeal adds. Article 3:305a of the Dutch Civil Code stipulates that NGO’s may litigate on behalf of others, who in the case of Urgenda can invoke Articles 2 and 8 of the ECHR (§36). The Court leaves unanswered the question, whether Urgenda represents more than only currently living Dutch citizens, as the latter group suffices to support Urgenda’s claim (§37). The Court then considers the applicability of Articles 2 and 8 of the ECHR to issues of climate change. It reasons that, given the real threat of dangerous climate change and given the consensus that global warming should not exceed 2°C, preferably not even 1.5°C, Articles 2 and 8 ECHR comprise a duty for the State to protect against this real danger (§45). To my knowledge, the ECHR and climate change have not been related before. This dictum therefore may be considered to be ground breaking. The Court then proceeds to consider whether this duty of the State is breached by the policy goal of 20% emissions (§46). In this context, it notes that reduction paths including negative emissions are so hypothetical that they cannot serve as a justification for little action now (§49). Since the IPCC’s recommendation for 25%-40% reduction was reiterated over and over again during the COPs (§51), and since the Dutch State did deem 30% possible earlier (§52), the District Court was correct to order the Dutch State to reduce at least 25%, judges the Court (§53). In the last paragraphs of the judgement, the Court of Appeal dismisses all the State’s arguments (§54). There is no realistic risk for a ‘waterbed effect’ within the EU Emissions Trading Scheme (§55-56), furthermore the State failed to substantiate the risk of ‘carbon leakage’ (i.e. the risk that polluting industries would move to other countries than the Netherlands), and to the extent that the State wanted to rely on a diminishing level playing field for industry, the Court says not to understand why such would be contrary to any rule of law (§57). Mitigation rather than adaptation is the way to go (§59). The Court is neither convinced of the State’s argument that the goal of 25% applies to developed nations as a whole rather than to the Dutch State (§60). Furthermore, the State’s contention that the Netherlands contributes little to global emissions and that there is not sufficient causality between Dutch emissions and global climate change fails (§61-64). If such a reasoning would be followed, an effective remedy against a global problem like this would be lacking, says the Court, since every State could argue to have no obligations until other nations start acting. This consequence cannot be accepted, if only since Urgenda is unable to bring all States in the world before the Dutch Courts (§64). This morning, when the Judge read out loud the latter sentence, a wave of laughter went through the audience. The last matter considered by the Court relates to the separation of powers, the trias politica or political questions doctrine (§67-69). Here the increased strength of the judgment becomes clear. It might have been questionable for a Court to order the State to adopt a policy goal on the basis of a private legal duty of care. Yet since the Appellate Court invokes human rights, designed to be invoked against a State party, the separation of powers is clearly defended rather than violated. The Court stresses its order is not an order to adopt legislation (which is forbidden for courts in Dutch private law) as the goal of 25% can be reached without adopting legislation. Furthermore, the Court notes it must apply directly applicable international law, since it is part of the Dutch legal order and moreover has primacy above national legislation. Urgenda has announced it trusts the State will comply with the judgment, yet to go Court again to ask for a penalty if it becomes likely that the State will not reach its goal. Urgenda did not ask for it already because in Dutch civil procedures, judges decline such a penalty if they esteem the convicted party will comply with the decision. The government has indeed communicated it will comply, although in a somewhat halfhearted way, pointing to research indicating 25% is indeed possible within its current plans, but with an uncertainty margin that the Court of Appeal calls "unacceptable" in §73 of its judgement. For those who master Dutch, I can recommend the Dutch private law analysis of the judgment on the Ucall Blog by my collegue Tim Bleeker.